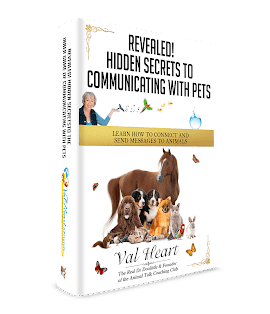 What can happen when you know how to connect and communicate with animals? One animal communication student was so excited. She told me that she and her dressage horse were now in total sync with each other. Every animal lover knows they have a special connection with the animals in their lives. Many young children can “hear” animals talk – that is, until others convince them that animal’s are dumb and unable to think for themselves. When we limit ourselves to the accepted modes of human speech, we shut ourselves down. And, sadly, we lose an important part of ourselves – our connection with all of Life. Humans have traditionally thought of themselves as separate and more intelligent (read “important”) than other Beings unlike themselves. Since “others” don’t talk, look or act like we do, then they must be inferior in some way. Until recently, this had been easy to believe about animals since they cannot speak “our language”. You read right – animals are telepathic! They can see what is in your mind’s eye, and feel what you are feeling. © Copyright Val Heart & Friends LLC. All Rights Reserved.